Size: each horsehead is ¾ in. by ¼ in. 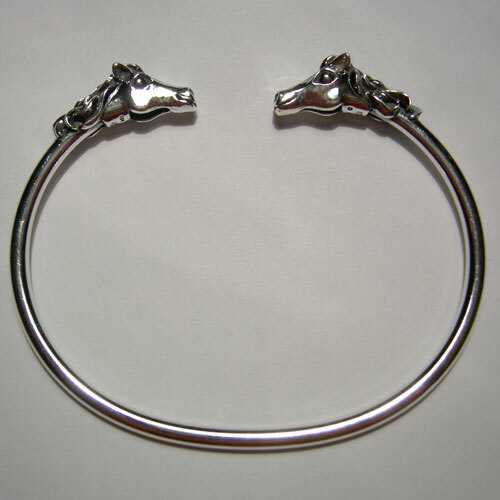 Desc: Sterling silver flexible cuff bracelet with a 3D horse head at each terminal.